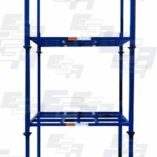 EGA Portable Stacking Racks are a versatile answer to your ever-changing storage, handling, or transporting needs, allowing materials to move through your entire production process…all on the same rack…even heavy or irregular-shaped pieces that cannot normally be stacked atop one another! 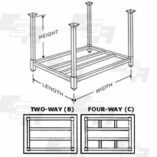 Their plug/post joint systems afford superior stacking stability over commonplace wood pallets while providing comparable weight capacities. 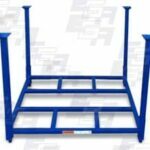 And when not in use, portable racks can be broken down for convenient compact storage, freeing up floor space that would otherwise be cluttered with bulky, permanent rack systems. 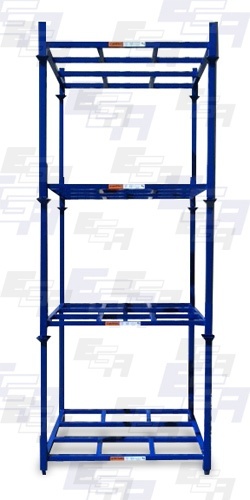 EGA engineers have extensive experience designing portable stacking racks for virtually every type of commercial or industrial application, including: textiles, wire coils, automotive parts, tires, and more. 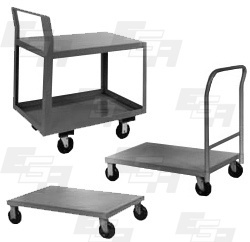 Available in open frame, wood, steel, welded wire mesh, or perforated steel decks. 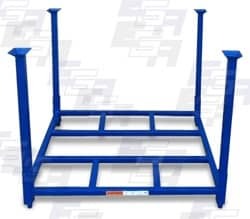 Standard portable rack sizes change in 6″ increments—or can be custom manufactured to any size. 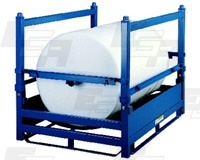 Ideal for both inter- and intra-plant materials movement. 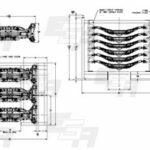 And custom engineering is available for over-the-road shipping, product protection, and other strategic transportation needs. Welded tubular and structural steel construction provides superior load-carrying strength, up to 2,000 lbs. 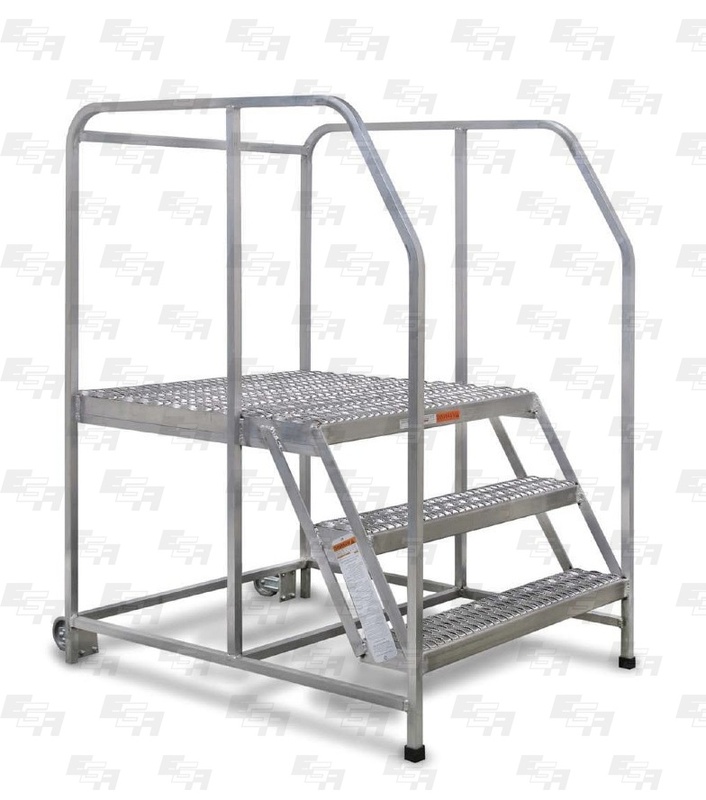 (standard duty) or 4,000 lbs. 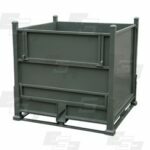 (heavy-duty). 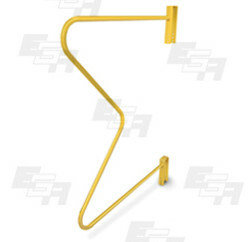 Standard target is 4″ square tube and mounted on removable stacking posts. Standard end or side frames is a steel framework of horizontal and vertical angles welded between pairs of posts. 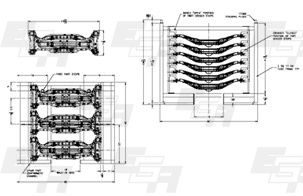 Standard post is 1 1/2″ square tube on 2000 lbs. 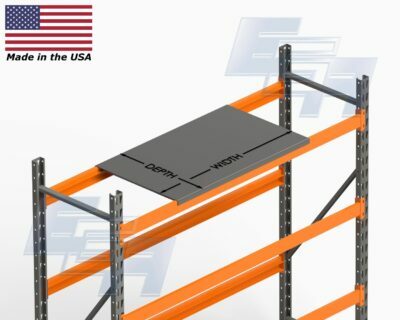 capacity units and 2.17″ square tube on 4000 lbs. units. Standard plug is base mounted. 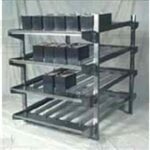 Wide range of bases, sides, and ends allow virtually unlimited configurations. 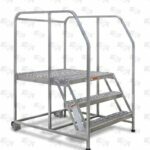 Portability promotes flexible plant layout—change size, shape, and location of storage areas as space or workloads dictate. Return more empties in less space. 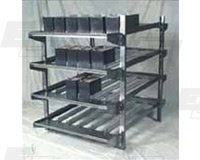 Coil racks, fixed posts, inter-stacking with existing units, and nestable racks. 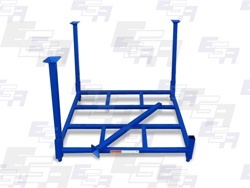 Floor skid runners for unit conveyability. 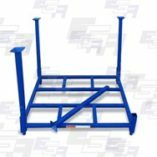 Fork stirrups or pockets to prevent shifting of racks on fork tines. Need a custom design? Send us your RFQ!